It comfortably sleeps 12, with 1 superking bedroom, 1 kingsized bedroom, 2 twin rooms and 2 bunk rooms. It has two bathrooms and a downstairs shower room. We have recently built a spacious new kitchen which has spectacular views for 40 miles down the Sound of Mull to the hills above Oban. With underfloor heating and an electric Aga, it provides a wonderful room to admire the view whatever the weather. 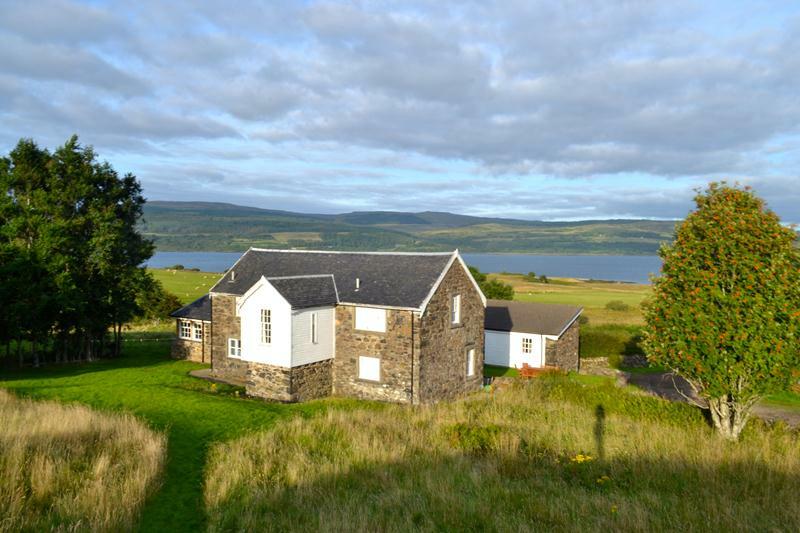 It is equipped to a very high level and there is also a large fridge freezer, ample storage space, a ceramic hob, Nespresso coffee machine and two dishwashers. French doors lead out of the kitchen onto a lawn and there is garden furniture and a kettle barbecue for eating outside. The large drawing room has similar outstanding views as well as an open fireplace and a table tennis table.